Military markings for jeep vehicles can sometimes be confusing and difficult to figure out. 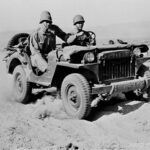 There are many regulations regarding the markings of military property; however, this post will hopefully provide some assistance in finding appropriate markings for your jeep vehicle. If you are an enthusiast interested in reproducing or restoring markings, you will want to take special care to check for original designations before you pick up a sandblaster or stencil during the restoration process… If you are able to uncover original markings on your vehicle, this is great news as collectors will often use these markings to verify a vehicle’s authenticity, history and identity. Unfortunately, in some cases, your vehicle’s official markings may have been painted over by the military or have been lost forever due to deterioration over time. 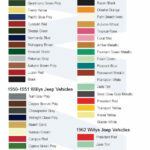 If this is the case, then you may want to use the information in this post to help you decide which markings may be appropriate to add to your jeep. The AR 850-5 is the US Army manuscript outlining the regulations for marking vehicles, equipment, supplies, and clothing. Although that publication provides the basic structure of unit identification, many photographs will demonstrate that these regulations were not strictly adhered to. 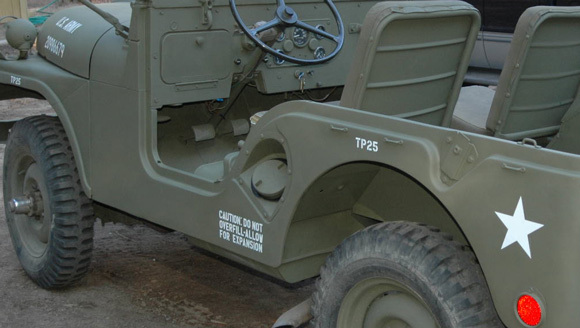 The standard color for a military vehicle was OD (olive drab), and was applied with a flat or lusterless finish. From late 1940 to February 1945, markings were to be made in blue-drab. This type of color scheme would prevent enemy intelligence from gathering and identifying military markings as the two colors were hard to distinguish from one another when viewed in black and white photographs. The official color of these markings was changed to flat white in February 1945, but the reserves of blue-drab paint were used until exhausted. *Frequently, a white five-point start was located in the center of the bumper, approx. 3 to 4 inches in diameter, depending upon bumper space. (A white five-pointed star was the national symbol of all motor vehicles assigned to tactical units. Sizing of this star was dependent upon the motor vehicle type and had to be large enough to take advantage of the surface upon which it is painted. When required for camouflage or concealment, the symbol was to be covered by lusterless olive-drab gasoline solvent paint). Jeeps always had the prefix 20, which stood for ‘reconnaissance’ followed by the vehicle’s registration number. For the first 99,999 jeeps, this was a 5 digit number; later jeeps had 6 digits. Registration numbers were painted in 3″ numbers (space permitting of course) on each side of the vehicle hood or somewhere on the back of the vehicle. If the vehicle was “suppressed” in order to carry a radio, the letter S (preceded by a dash) was applied as a suffix after the registration number. USA was painted before or above the registration number (space permitting). On the top of the hood, a white five-point star was applied, approx. 15 inches and 1 1/2 inches from the cowl (size of star and placement vary depending upon space) which allowed it to be visible with the windshield up or down. There are several variations of the star – some were plain white five-point stars while others also incorporated a broken or solid circle. The star pictured above is detailed with a broken circle, also called the “invasion star”. A six inch, white five-point star would have been placed towards the top of the rear quarter panel. (Note) Placement of the markings on the rear of the vehicles was not as consistent as it was on the front, and some vehicles had no rear unit markings. When applying markings to bumperettes, the same designations may be used as the front bumper. “T.P.35” – (Tire pressure) WWII-era US Army Jeeps sometimes had this painted on the dashboard, on the inside of the window, or on the inner sides of the wheel well, below the fenders and above the wheels. Post-war jeeps had the tire pressure painted on the rim of the fenders above the wheels (all 4). (Note) This location for the marking was only applied post-war. 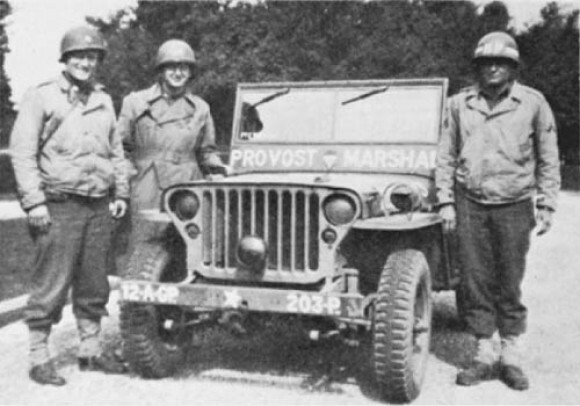 It is an incorrect marking for a war-era jeep. “No Smoking” was an informal marking. “Caution: Do Not Overfill – Allow for expansion” was sometimes placed to the left and below of the gas tank filler. These are just a few of the informal markings that have been used. Below is an excerpt from the AR 850-5. 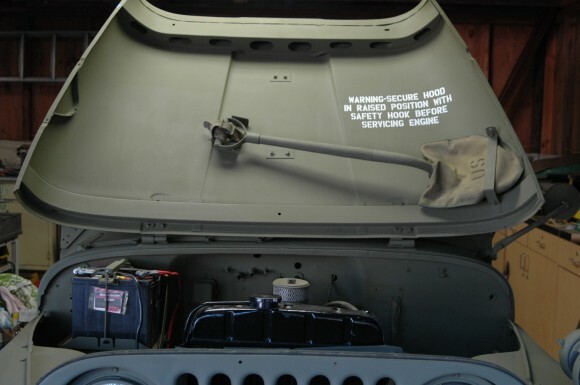 It provides the regulations to go by when marking a military vehicle. (Please note that in many photographs of jeeps, variations occur and standards were not strictly adhered to). 10. Unit markings.—Gasoline solvent paint or paint as prescribed by the War Department will be used. (1) A white five-pointed star will be the national symbol of all motor vehicles assigned to tactical units. Administrative motor vehicles operating in an active theater of operations will be similarly marked when directed by the theater commander. (2) The size of the national symbol will be determined for each type of motor vehicle and will be large enough to take advantage of the surface upon which to be painted. (3) Whenever requirements for camouflage and concealment outweigh the requirements for recognition, the national symbol may be covered by lusterless olive-drab gasoline solvent paint, camouflage nets, oil and dirt, etc., or will be removed. (1) Front and rear markings. (a) General.—Front and rear markings are identical and consist of four groups in consecutive order, from the left to right when facing the vehicle, separated by a dash 1 inch long. Markings may be on a single line or on two lines, but in no case will groups be broken nor order of groupings be changed. If two lines are used, the first and third groups will be on the top row. Composition of groups is indicated below. Division (armored) Arabic numeral followed by triangle 3 inches high with ¼-inch stroke. Division (cavalry) Arabic numeral followed by letter C.
Corps (cavalry) Roman numeral followed by letter C.
Corps (armored) Roman numeral followed by triangle 3 inches high with ¼-inch stroke. Army Arabic numeral followed by letter A. Air force Arabic numeral followed by a star 3 inches high. Replacement training center RTC preceded by arm or service symbol. Training center TC preceded by arm or service symbol. Firing center FC preceded by arm or service symbol. (c) Second group.—The second group will designate separate regiment, separate brigades; groups, separate battalions, or separate companies, and similar units by appropriate number or symbol, followed by arm or service in accordance with abbreviations listed below. When indicating headquarters and headquarters companies or special companies of units identified in first group, the second group will consist only of the letter “X.” When indicating brigades, the numeral will be underlined. Army Air Forces units Star 3 inches high. Armored regiment Triangle 3 inches high with ¼-inch stroke. Headquarters and headquarters company of battalion not previously identified. Numerical designation of battalion followed by letters HQ. Service company of battalion not previously identified. Battalion number followed by letters SV. Separate company identified in second group. X or abbreviation of company. “Name” company (other than headquarters company, headquarters and service company or service company). Nonconflicting letters assigned for identification purposes, preceded by the battalion number, when necessary. (e) Fourth group.—The fourth group will designate the serial number of the vehicle in normal order of march within the organization to which it is assigned. Vehicles assigned to any headquarters will be combined for purposes of numbering with those of the appropriate headquarters company or similar organization, and will be given the smaller serial numbers used therein. (a) 1—X—HQ—10 10th vehicle, Hq Co, 1st Inf Div. 1—X—1S—10 10th vehicle, 1st Sig Co, 1st Inf Div. 1—X—1R—10 10th vehicle, 1st Rcn Tr, 1st Inf Div. 1—16-I—A—10 10th vehicle, Co A, 16th Inf, 1st Inf Div. 1—F—HQ—10 10th vehicle, Hq Btry, Div Arty, 1st Inf Div. 1—33F—D—10 10th vehicle, Btry D, 33d FA Bn, 1st Inf Div. 1—1E—A—10 10th vehicle, Co A, 1st Engr Bn, 1st Inf Div. 1—1M—A—10 10th vehicle, Co A (Coll), 1st Med Bn, 1st Inf Div. 1—1Q—A—10 10th vehicle, Co A, 1st QM Bn, 1st Inf Div. (b) 1Δ—X—SV—10 10th vehicle, Serv. Co, 1st Armd Div. 1Δ—81R—A—10 10th vehicle, Co A, 81st Rcn Bn, 1st Armd Div. 1Δ—1Δ—A—10 10th vehicle, Co A, 1st Armd Regt, 1st Armd Div. 1Δ—27F—A—10 10th vehicle, Btry A, 27th FA Bn, 1st Armd Div. 1Δ—16E—A—10 10th vehicle, Co A, 16th Engr Bn, 1st Armd Div. 1Δ—6–I—A—10 10th vehicle, Co A, 6th Inf, 1st Armd Div. 1Δ—TN—HQ—10 10th vehicle, Hq Co, Div Tn, 1st Armd Div. 1Δ—1-O—A—10 10th vehicle, Co A, Maint Bn, 1st Armd Div. 1Δ—1Q—A—10 10th vehicle, Co A, Sup Bn, 1st Armd Div. (c) 1C—X—HQ—10 10th vehicle, Hq Tr, 1st Cay. Div. 1C—X—1S—10 10th vehicle, 1st Sig Tr, 1st Cav Div. 1C—91R—A—10 10th vehicle, Tr A, 91st Rcn Sq, 1st Cav Div. 1C—X—27-O—10 10th vehicle, 27th Ord Co, 1st Cav Div. 1C—1C—HQ—10 10th vehicle, Hq Tr, let Cav Brig, 1st Cav Div. 1C—12C—HQ—10 10th vehicle, Hq Tr, 12th Cav, 1st Cav Div. 1C—F—HQ—10 10th vehicle, Hq Btry, Div Arty, 1st Cav Div. 1C—61F—A—10 10th vehicle, Btry A, 61st FA Bn, 1st Cav Div. 1C—8E—A—10 10th vehicle, Tr A, 8th Engr Bn, 1st Cav Div. 1C—1M—A—10 10th vehicle, Tr A, let Med Sq, 1st Cav Div. 1C—1Q—A—10 10th vehicle, Tr A, 1st QM Sq, 1st Cav Div. (d) 2A—21Q—A—10 10th vehicle, Co A, 21st QM Regt, Second Army. 3A—61Q—A—10 10th vehicle, Co A, 61st QM Bn, Third Army. ★—1Q—SVAV—10 10th vehicle, 1st QM Co, Serv Gp, (Avn) AAF. 3A—21Q—CAR—10 10th vehicle, 21st QM Car Co, Third Army. 3A—56Q—COM—10 10th vehicle, 56th QM Sales Comm Co, Third Army. 3A—67Q—REF—10 10th vehicle, 67th QM Ref Co, Third Army. 4A—79Q—DP—10 10th vehicle, 79th QM Depot Co, Fourth Army. 1A—87Q—RHD—10 10th vehicle, 87th QM Rhd Co, First Army. 1A—132Q—TRK—10 10th vehicle, 132d QM Trk Co, First Army. ★—862Q—MT—10 10th vehicle, 862d QM L Maint Co, AAF. (e) GHQ—101M—A—10 10th vehicle, Co A, 101 Med Regt, GHQ. II—40M—A—10 10th vehicle, Co A, 40th Med Bn, II Army Corps. 3A—1M—VET—10 10th vehicle, 1st Vet Co, Third Army. II—701M—SAN—10 10th vehicle, 701st Sn Co, II Army Corps. II—3M—EV—10 10th vehicle, 3d Evac Hosp, II Army Corps. 3A—53M—GEN—10 10th vehicle, 53d Gen Hosp, Third Army. 1A—151M—STA—10 10th vehicle, 151st Sta Hosp, First Army. 3A—63M—SUR—10 10th vehicle, 63d Surg Hosp, Third Army. 3A—16M—VET—10 10th vehicle, 16th Vet Evac Hosp, Third Army. 1A—1M—DP—10 10th vehicle, 1st Med Sup Dep, First Army. 3A—2M—LAB—10 10th vehicle, 2d Med Lab, Third Army. (f) 1A—101P—A—10 10th vehicle, Co A, 101st MP Bn, First Army. ZI—704P—A—10 10th vehicle, Co A, 704th MP Bn, ZI. IV—X—44P—10 10th vehicle, 44th MP Co, IV Army Corps. (g) IX—18E—A—10 10th vehicle, Co A, 18th Engr, IX Army Corps. II—62E—D—10 10th vehicle, Co D, 62d Top Engr, II Army Corps. (h) 1A-41-O—A—10 10th vehicle, Co A, 41st Ord Bn, First Army. I—1-O—HQ—10 10th vehicle, Hq & Hq Det, 1st Ord Bn, I Army Corps. 3A—X—60-O—10 10th vehicle, 60th Ord Co, Third Army. ★—714-O—AB—10 10th vehicle, 714 Ord Co, AB, AAF. (i) IIΔ—1S—A—10 10th vehicle, Co A, 1st Sig Bn, I Armd Corps. III—26S—A—10 10th vehicle, Co A, 26th Sig Bn, III Army Corps. ★—X—S—10 10th vehicle, Sig Co, AAF. III—X—280S—10 10th vehicle, 280th Sig Co, III Army Corps. ZI—1S—SV—10 10th vehicle, 1st Sig Serv Co, ZI. (j) 1A—2G—A—10 10th vehicle, Co A, 2d Cml Bn, First Army. 3A—3G—MT—10 10th vehicle, 3d Cml Co Maint, Third Army. 3A—3G—DP—10 10th vehicle, 3d Cml Co, Dep, Third Army. (k) II—13F—HQ—10 10th vehicle, Hq Btry, 13th FA Brig, II Army Corps. I—17F—A—10 10th vehicle, Btry A, 17th FA, I Army Corps. 1A—6F—A—10 10th vehicle, Btry A, 6th FA Bn, First Army. GHQ—71F—A—10 10th vehicle, Btry A, 71st FA Bn, GHQ. I—1FOB—A—10 10th vehicle, Btry A, 1st FA Obsn Bn, I Army Corps. (l) 3A—33CA—HQ—10 10th vehicle, Hq Btry, 33 CAC Brig, Third Army. 1A—2CA—A—10 10th vehicle, Btry A, 2d CAC, First Army. AA—302CA—A—10 10th vehicle, Btry A, 302 CAC, AA Comd. (m) 2A—601TD—A—10 10th vehicle, Co A. 601 TD Bn, Second Army. TD—693TD—A—10 10th vehicle, Co A, 693 TD Bn, TD Comd. (n) ★—850E—A—10 10th vehicle, Co A, Engr Bn Avn, AAF. (3) How marked.—Unit identification markings will be painted in white letters on olive-drab background. (4) Height of letters and figures.—Letters and figures will be of a character style and dimensions as designed for use for traffic signs. Where space does not permit this size, letters and figures will conform to space available. (5) Marking not required.—Rear marking only is required on trailers, except on trailer, bomb, M5 and trailer, tractor, crane (see figs. 29 and 30). Unit marking will be placed on motorcycles when practicable. (6) Removal of unit markings.—The first two groups of unit markings will be removed from all motor vehicles when leaving home stations for movement to theaters of operations or ports of embarkation and in the theater of operations when directed by the theater commanders. (7) Administrative vehicles, motor vehicles assigned to administrative units or functions at posts, camps, and stations or similar activities will substitute abbreviations or words for the first two groups in order to show station and activity represented, Abbreviations will be those commonly used and where practical will conform to those prescribed in these regulations. *EMAIL or call Mike Toll Free (1-888-648-4923) Mon-Fri, 9am-5pm EST if you have any questions. Get Connected. Stay Inspired. Build Your Willys. 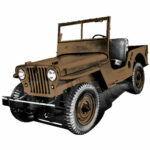 If you are looking for Willys Jeep Decals, Stencils, and Data Plates, you have come to the right place! I’m trying to identify a 1942 GPW Jeep in my Dad’s barn for 43 years. The brass plate on the glove box shows Quartermaster Corp – What does that mean? Hi Douglas, the only information we have is located in this blog post. Any information you would supply would be greatly appreciated. Thank you. I found this article very interesting. I would like to paint my MB in honor of my Dad, who served in the 511 Airborne Regiment in New Guinea and the Philippines. Do you have any recommendations? Hello! 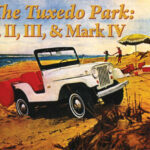 My 1943 Jeep got QMΔ – ★ in front bumper and 20326935s painted in a side of the hood with navy blue color. Can anyone tell me something about that? Capt. in photo has 3rd army A patch on overcoat shoulder. I am beginning to restore my Ford GPW chassis 200395 and want to make sure the correct markings are on the hood. I don’t have the vehicle history to know what unit it would have been with but in your opinion what is the correct marking for this vehicle? I was thinking US 200395 or should it be US 20200395. A friends grandfather talked about markings the men put on themselves. His Jeep said “Quit yer bitchin'” backwards to be read by vehicles ahead of him in their mirrors. Bitchin’ was unfortunately shot up badly somewhere around the Rhine close to a steel factory. Has anyone heard of these types of change to the bumpers or have pictures of such changes? I’m restoring a 1944 Ford GPW: S/N 186731, Hood Number (estimated) 20519036: what markings should I put on the front & rear bumbers? 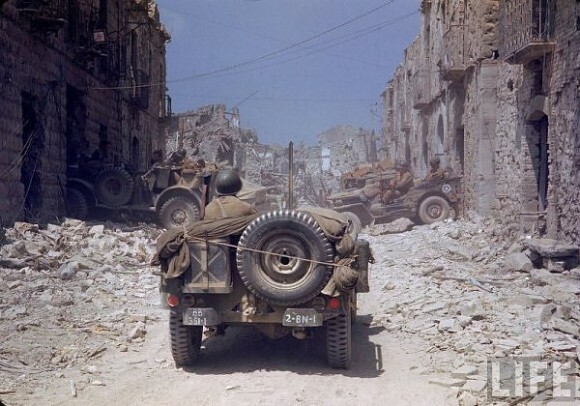 The jeep is in Italy (Sardinia) is there a way to know which units/companies served here? 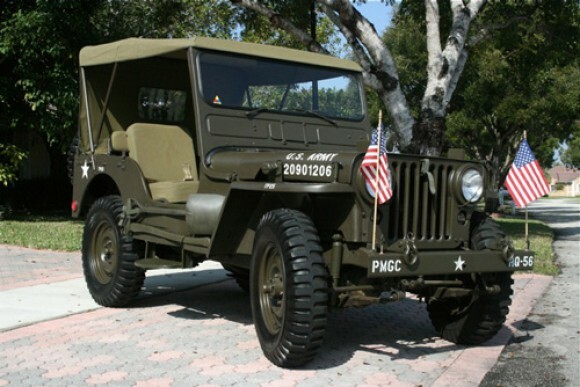 I am restoring a 51 model M38 reg# 20890612 is there any way to find the history on this jeep? Hello everyone, I have acquired a beautifully restored Ford Willy Jeep date 1942.
the fellow that restored did a good job but the the stencils on the bumper and the nr on hood it does not look as good. 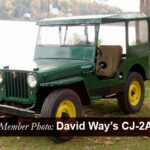 I am restoring a 1950 CJ3A Willys Jeep. I need to know the original colors this model. Montes Claros, Minas Gerais, Brazil. I have a 1942 Ford GPW recently striped paint to expose U.S.C.G. No.3474. I’m trying to put a story together on this old soldier . Can anyone help , I’m a little new at this . my project is coming along I have been able to save most of the original body . The serial No. Is 59727 Delivery date is 8/31/42 . Thanks for listening. 5860 9777. As I am close to painting stage I am really keen to get it right eg paint color but more important is finding out the history of this Vehicle. I am about to complete a jeep. MC M38. I want to put Marine Corps Markings on it. Head Quarters Infantry. Can anyone help with how to mark this vehicle and where the marking would go on the jeep? 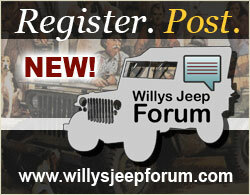 Could you send photos to amy@kaiserwillys.com of the Jeep body and engine? Respected Sir, My Jeep (now in body of CJ-3B) stamped ch. no.-203573 on front right side, when I searched on sites it is definitely not CJ-3B because of srl. no. this ch. no. 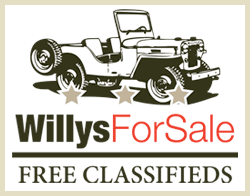 shows it belongs to WILLYS-MB, FORD-GPW n WILLYS CJ-2A …..but to whom it belongs to in mfg. ? Please do tell me to satisfy my enquiry ? The markings don’t seem to meet the standard for Jeep bumpers. Thanks for any information. Hi Wes, check out the G503.com website and forum. 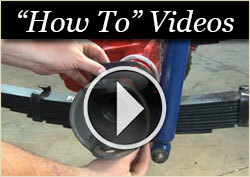 These guys know a lot about the M151A1 Jeeps and can help you out. 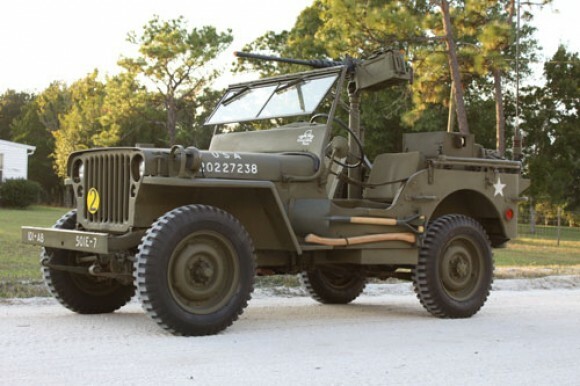 If you have any questions or need parts for other military Jeeps such as the MB/GPW, M38, and M38A1 let us know! 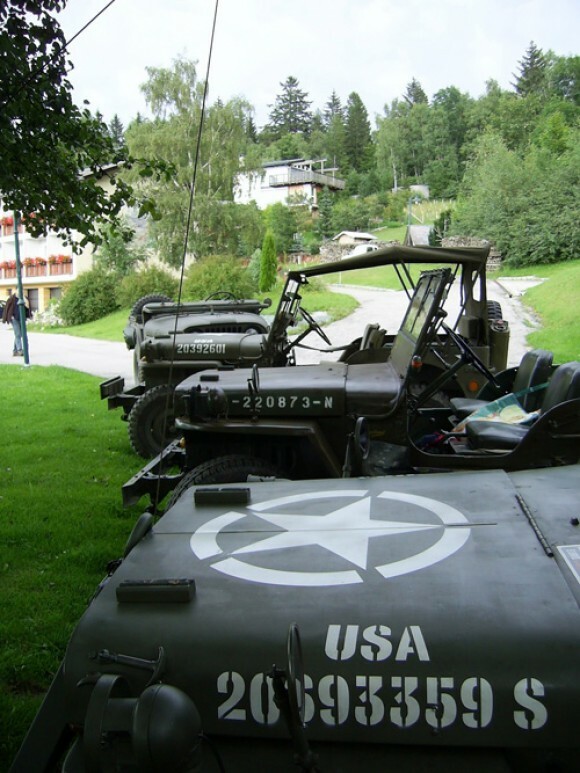 Enjoy your M151A1 Jeep! I recently purchased a M151A1 and would like to know more about it. The serial number under the hood is as follows. BUDD 35143. Where may I go to get more information on this model? Would like to know the year model. I wanted to honor the Eagle Squadrons of WW II and especially the mechanics that kept those fighters flying for the pilots. The first Eagle Squadron (RAF #71) became the 334th fighter squadron of the Fourth Fighter Group. So how would I mark the front and rear bumpers of my freshly restored Willys MB? IV (star) 334FS MT-(vehicle number) ? It is a 1945 MB and I plan on putting the “invasion” star on the hood. Did the quarter panel stars have the circle around them too? 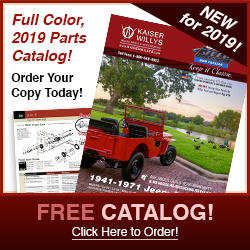 I am restoring a 1951 M 38 Willys Jeep. Everything is original, but there are some things I will need to do when restoring it as I am having it repainted. I need to know the exact marking and loaction, size of star, letters, stencils, etc. Unit is: 1 Cavalary Division, 1 BDE, 2 BN 8 Cav, A Company. I want this to be as original and accurate as possible. Not sure exactly where to go for someone to know all of this information. I am looking for info on my 1952 M38. AirForce issue, fire dept. back-up vehicle, 13k miles, origional tires, perfect condition except hood. It is painted white over olive drab, with strobe lights, siren, and military truck heater added. There was never a hood number and I would like to repaint it with the correct markings. Can anyone please tell me what the hood numbers should be ? Jeep ser.# is 59272.